Seems yesterday was a busy day at the State Capitol. Legislators tackled school choice, ACT testing, common core standards, and the use of data systems in school districts. I’ll withhold any judgment about the supposed school choice deal because there appears to be a heck of a lot about it I don’t know. The biggest thing I’ve learned about school choice programs is that design matters. A lot. The boring specifics of funding and school and student eligibility are the difference between a program with a chance to succeed and one that is doomed to fail. This morning’s Journal Sentinel article is too vague to make a judgment on those specifics. But don’t worry, when it comes to school choice I am like Bob Seger and songs about the nostalgia of youth, I’ll eventually write about the issue whether it’s needed or not. Joint Finance’s approval of universal ACT testing is great news. I ‘ve been arguing since 2011 that the ACT suite of tests is a simple way to give students and teachers comparable student performance data that can be used to aid instruction and measure Wisconsin student performance against other states. It’s a no-brainer. I find the vote to delay the implementation of thecommon core standards a bit more perplexing. I support local control but wonder if having national standards regarding what students ought to know is an infringement on local control. Districts would still have the freedom to teach how and what they want, just with the expectation that students will be proficient in certain subject manner at certain times. I guess I am ambivalent about the common core, I don’t think it will dramatically improve our nation’s education system, but nor do I find it a significant threat. Is the new ‘bible of psychiatry’ a weapon for the courts? Walter had been depressed for a long time, he said, and when he finally decided to identify publicly as female, his depression waned. Though he did not have gender reassignment surgery, he began introducing himself as Wynonna in public. Most people might call Wynonna a transgender woman. The DSM, until last week at least, categorized him as having Gender Identity Disorder, a mental illness. If the court sided with Kelsey, that categorization could separate Wynonna permanently from her only child. While the DSM’s text is introduced with a caveat that it’s only to be used for clinical, educational, and research purposes, the book has another key application: It’s often used as a way to make decisions within governing bodies, in court, and in the criminal justice system. A 2011 paper by Dr. Ralph Slovenko, a professor emeritus of law and psychiatry at Detroit’s Wayne State University, found that the DSM had been cited in some 5,500 court opinions and 320 pieces of legislation. Novelist Elif Shafak urges authors to write the book they want to read and to cut their work mercilessly. Much more on Elif Shafak, here. A leading U.S. provider of online college courses on Thursday announced plans to expand into introductory level classes such as algebra and composition, marking a shift for a fledgling industry that has until now focused on specialized material. Coursera, a popular for-profit provider of massive online open courses – known as MOOCs – will host a series of basic general education classes to be developed in partnerships with 10 state university systems across the United States. After cutting spending on public colleges and universities during the economic crisis, many state governments have begun to boost higher-education budgets once again. Lawmakers in Indiana recently approved a $500 million funding increase over two years for state colleges and universities, a 14.6% increase, following four years of cuts. New Hampshire’s governor has proposed increasing the university budget for the coming academic year by $20 million, or 37%. And state lawmakers in Florida recently approved a budget that increases higher-education funding by $314 million, or 8.3%, following seven years of cuts. The Georgia Institute of Technology’s plan to offer a low-cost online master’s degree to 10,000 students at once creates what may be a first-of-its-kind template for the evolving role of public universities and corporations. When it agreed to work with Udacity to offer the online master’s degree in computer science, Georgia Tech expected to make millions of dollars in coming years, negotiated student-staff interaction down to the minute, promised to pay professors who create new online courses $30,000 or more, and created two new categories of educators — corporate “course assistants” tasked with handling student issues and a corps of teaching assistants hired by Georgia Tech who will be professionals rather than graduate students. New details about the internal decision making and fine print of Georgia Tech’s revolutionary effort are based on interviews and documents, including some that the university provided to Inside Higher Ed following an open records request. Georgia Tech this month announced its plans to offer a $6,630 online master’s degree to 10,000 new students over the next three years without hiring much more than a handful of new instructors. Georgia Tech and Udacity, a Silicon Valley-based startup, will work with AT&T, which is putting up $2 million to heavily subsidize the program’s first year. The effort, if it succeeds, will allow one of the country’s top computer science programs to enroll 20 times as many students as it does now in its online master’s degree program, and to offer the degree to students across the world at a sixth of the price of its existing program. A contract between Georgia Tech’s research corporation and Udacity spells out the time that Udacity staff members are to spend helping students, though representatives of both the company and the university say their understanding of how much time students will need is likely to evolve. Once in a while I come across an animated debate on health benefits of sugar vs. high-fructose corn syrup (HFCS). It is enzymatically produced mixture of glucose and fructose that approximately matches the chemical composition of sucrose, aka sugar. It is not this debate that is my concern; rather, it is the following question: why do American companies use HFCS so obsessively? There is presently as much HFCS produced as the sucrose. ALEC is still at it, Julie Underwood, dean of the School of Education at the University of Wisconsin-Madison, cautions in “School Boards Beware,” (PDF) a commentary in the May issue of Wisconsin School News. The model legislation disseminated by the pro-free market American Legislative Exchange Council’s national network of corporate members and conservative legislators seeks to privatize education and erode the local control, Underwood says. “The ALEC goal to eliminate school districts and school boards is a bit shocking — but the idea is to make every school, public and private, independent through vouchers for all students. By providing all funding to parents rather than school districts, there is no need for local coordination, control or oversight,” she writes in the magazine of the Wisconsin Association of School Boards. The state this year will start rating each school on a scale of 0 to 100 based on student test scores and other measurables. The idea, in part, is to give parents a way to evaluate how a school is performing while motivating those within it to improve. Several schools across the state — including Madison’s Shorewood Elementary, Black Hawk Middle and Memorial High schools — are part of Wisconsin’s new teacher and principal evaluation system, which for the first time will grade a teacher’s success, in part, on student test scores. This system is to be implemented across Wisconsin in 2014-15.li>And instead of Wisconsin setting its own student benchmarks, the state is moving toward using Common Core State Standards, which have been adopted in 45 other states. State schools are starting new curricula this year in language arts and math so students will be prepared by the 2014-15 school year to take a new state exam tied to this common core and replacing the Wisconsin Knowledge and Concepts Examination. Although Underwood says she generally backs most of these changes, she’s no fan of the decision announced last month that makes it easier for a person to become a public school teacher — even as those who are studying to become teachers must now meet stiffer credentialing requirements. Instead of having to complete education training at a place like UW-Madison en route to being licensed, those with experience in private schools or with other teaching backgrounds now can take steps to become eligible for a public teaching license. “I think that’s really unfortunate,” says Underwood, who first worked at UW-Madison from 1986-95 before coming back to town as education dean in 2005. Many notes and links on Julie Underwood. The oft-criticized WKCE will soon be replaced by Wisconsin’s Common Core implementation. NCTQ Sues UW Ed Schools over Access to Course Syllabi. Long term disastrous reading scores are the existential threat to our local public school “status quo” structure. Related: Where Have all the Students Gone? 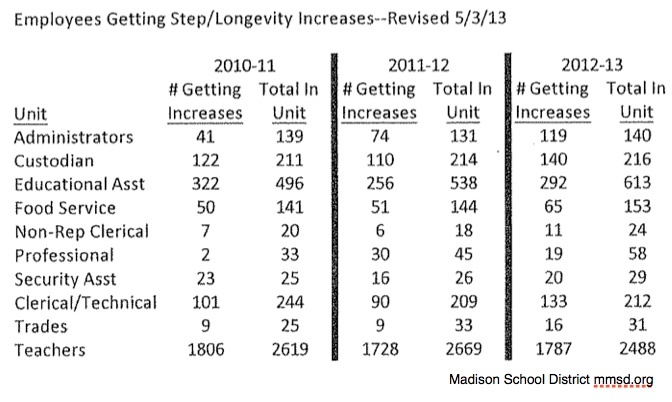 Madison Area School District Enrollment Changes: 1995-2013. Of the 85 kids who have won the National Spelling Bee, only one became an instant movie star. For the millions who watched back in 1999, her face is frozen in time. She’ll always be the 14-year-old girl from Tampa, Fla., with the glasses and dark shoulder-length hair, her arms raised while leaping for joy. But that was a half-life ago for Nupur Lala. Like all bee winners, she’s since had to deal with the perks, drawbacks and stereotypes that come with the title — all magnified because she won the same year the competition was featured in an Oscar-nominated documentary. She became a role model for those who realized it’s OK to be nerdy. She became a trend-setter, starting a run in which 10 of 14 national bee winners have been Indian-American, including the last five. Are public universities too big to fail? Dark clouds are forming over America’s public universities as the Wall Street mindset spreads across more of our institutions. A decade of excessive spending based largely on unlimited student loans is looming dangerously over a major national asset. In January 2013, Moody’s, the nation’s premier credit rating organization, issued a report titled “U.S. Higher Education Outlook Negative in 2013.” Moody’s evaluation was based on the hundreds of billions of dollars in institutional debt incurred by America’s public universities, including exotic non-traditional financial schemes. And Moody’s evaluation did not include the trillion dollars of debt currently owed by college and university students and former students. Today, more than 35 million Americans owe an average of $28,000 in college loans and half have not earned and are not likely to earn a four-year degree. So we are coming up on three years with the iPad 1. I thought it would be interesting to look back at our damage rate and see how things went. I’ve kept a log of when devices were replaced and why. These numbers are based on a deployment of 115 iPads and all the repairs were handled through the Genius Bar at our local Apple Store. A pupil reported that her iPad was not responding to touches in one area of the screen. I checked and there did appear to be a ‘dead band’ the width of the screen about one fifth of the way up where drags across the affected area would not be recognised. The iPad acted as if the user had lifted their finger from the screen. Adrion Howell has strong connections to the Prince George’s County public school system. The 43-year-old lobbyist’s mother taught in the schools for 35 years, and Howell attended school there and worked as a substitute teacher in the county before going to Howard University Law School. But, like many other middle-class parents in Prince George’s and in urban school districts across the country, when the time came for Howell’s daughter, Aaliyah, to attend Glenn Dale Elementary School, he instead enrolled her in a private school. With Maryland’s second-largest school system poised for a leadership overhaul and a reconfigured school board next week, one of the major challenges facing County Executive Rushern L. Baker III (D) is how to convince the county’s middle class that his approach to fixing the schools will be successful enough to lure their children back into the public schools. Parents, particularly those who have opted out of the public schools for what they think is a better education elsewhere, say they are closely watching the transition. Prince George’s has experienced middle-class flight before, when white families departed as the black population grew. But in what is now one of the wealthiest predominantly black counties in the country, more and more affluent black families have turned away from the public schools. Experts say the trend in Prince George’s is similar to what has happened in other large school systems that have struggled academically: The loss of middle-class families has led to a higher percentage of poor students using the public school system, less local accountability and waning community involvement. Princes George’s taxpayers spent $1,664,442,000 for 124,000 students, or $13,422 per student during the 2013 school year. Madison spends about $14,451 per student (latest 2012-2013 budget is about $394,000,000) for 27,095 students (including Pre-k). Gov. Scott Walker’s plan to create a statewide charter school board has hit a roadblock as lawmakers are considering removing it from the next two-year budget. Republicans are also backing away from using new school report cards to expand the state’s voucher program, though a broader agreement on the voucher expansion remained elusive Wednesday. Republicans said they might introduce separate legislation to establish a statewide board to authorize nonprofits to open charter schools in certain school districts, including Madison. “We think that’s highly popular around the state and we need to talk about it a little more,” said Sen. Alberta Darling, R-River Hills, co-chairwoman of the Joint Finance Committee, which is rewriting Walker’s 2013-15 spending plan. The high-school sophomore overcame a crippling case of social anxiety as a patient in the Child and Adolescent Anxiety Disorders program at the Mayo Clinic in Rochester, Minn. Therapists there use an innovative approach early in treatment, gradually exposing children to things they fear most and teaching parents to act as “exposure coaches” rather than enable their children to avoid things and situations as a protective measure. Georgiann Steely, 16, is developing confidence doing things she once would have avoided, such as ordering in a coffee shop. “Kids who avoid fearful situations don’t have the opportunity to face their fears and don’t learn that their fears are manageable,” he says. Anxiety disorders, comprising a dozen diagnoses including phobias and obsessive-compulsive disorder, are among the most common mental health issue in youth yet they often go undetected or untreated, experts say. They can prevent a child or teen from developing skills necessary for success later in life. How to explain this turnaround? The state’s educational success hinged on rigorous academic standards, teacher testing and high-quality tests that students must pass to graduate from high school. All locally developed, these three factors aligned to produce amazing results. Common Core recycles a decades-old, top-down approach to education. Its roots are in a letter sent to Hillary Clinton by Marc Tucker, president of the National Center on Education and the Economy, after Bill Clinton’s presidential victory in 1992. The letter laid out a plan “to remold the entire American system” into a centralized one run by “a system of labor-market boards at the local, state and federal levels” where curriculum and “job matching” will be handled by government functionaries. The Alabama State Department of Education has launched a study that could lead to reform of the state’s system for distributing funds to public schools. Public records provided by the department show it has contracted the Colorado-based consulting firm Augenblick, Palaich and Associates Inc. to evaluate the adequacy and equity of Alabama’s current method for distributing public education dollars. The study, which will cost $338,950 and take more than a year to complete, is intended to determine how the state can better distribute education dollars to meet the objectives set by Plan 2020. Plan 2020 is the department’s comprehensive plan to achieve a 90 percent graduation rate and ensure all high school graduates are adequately prepared for college or career by the year 2020. A charter school operator named in a report from The Education Trust-Midwest as running underperforming schools has fired back, accusing the advocacy group of misrepresenting test scores. The Leona Group, which operates 25 charter schools in Michigan, has been approved to add an additional K-5 campus to its Cesar Chavez Academy in Detroit this fall, operating under authorization from Saginaw Valley State University. The report from The Education Trust-Midwest criticized the addition, citing poor performance on the 2012 MEAP compared to Detroit Public Schools students, especially among Hispanic pupils. Madalyn Kaltz, a spokesperson with The Leona Group, issued a statement Friday calling the report from The Education Trust-Midwest “grossly irresponsible and slanted” and questioning the report’s use of statistics from the MEAP. Base wages, in all MTI/MMSD Collective Bargaining Agreements, have not increased since the passage of Act 10 in 2011. Act 10 also removed the benefit for the members of all MTI bargaining units of the District paying the employee’s share of the mandated deposit in the Wisconsin Retirement System. This in itself caused a 6.2% reduction take-home wages. MTI had negotiated in the early 1970’s that the District pay the WRS deposit. This part of Act 10 caused a loss in earnings of $11.7 million last school year and another $12.9 million this school year for District employees. All employees do not automatically move up on the salary schedule each year. Members of the clerical/technical bargaining unit, for example, receive a wage additive based on months of service. These “longevity” payments begin at the 49th month of service, with the next one beginning at the 80th month of service. There are similar increments between the increases in longevity payments. Last year, 199 individuals remained at the same salary, while this year, there were 70 who received no increase in wage. Members of the educational assistant and school security assistant bargaining units, for example, receive a longevity increase after three years of service, but not anotheroneuntilafter12yearsofservice. Lastyear,282 individuals remained at the same salary, while this year there were 321 who received no increase in wage. The teachers’ salary schedule requires that a teacher earn six credits each four years and receive his/her principal’s recommendation to be able to cross the salary barrier. This is at each four-year improvement level. For incentive levels, beginning at level 16, one progresses only every two years, and then only if he/she earns three credits and receives his/her principal’s recommendation. Last year, 941 individuals remained at the same salary, while this year, there were 701 who received no increase in wage. Madison Schools’ Budget Updates: Board Questions, Spending Through 3.31.2013, Staffing Plan Changes. They’ve been collecting signatures on an online petition, passing the word on Facebook, sending letters to the school board, and planning to speak at Tuesday’s school board meeting. Students and parents have praised his ability to interest reluctant students in history and current affairs. But John Dryden said he’s not the point. He wants people to focus on the issue he raised: Whether school officials considered that students could incriminate themselves with their answers to the survey that included questions about drug and alcohol use. The future of higher education online is, at present, clear as mud. Do Massive Open Online Courses, or MOOCs — college-level classes offered online through a number of corporate providers — offer students better tools for study, increased opportunities at lower cost? Can they provide access to higher education to those who wouldn’t otherwise be able to afford it? Or do these canned classes portend the selling out of American education to Silicon Valley profiteers? I took the best MOOCs I could find over the last several weeks in order to try to answer these questions, as well as the one perhaps too seldom asked: Are even the best of these classes any good, or not? Are the best ones now, or could they one day be, as rewarding, informative and useful as a real class? I am in a relationship with a lady who has a 3 year old son. I’ve grown to love him like he’s my own child. It’s clear that he’s behind in terms of development due to lack of attention in the first two years of his life, for reasons I don’t completely blame his mother but reasons I don’t feel are appropriate to disclose. I’m currently focusing on helping his speech and potty training as a priority, with helping in other areas and being a general father figure. I believe my efforts have paid off because I’ve been told his rate of development has been remarkable since I became involved. I was just wondering if anybody who has a child or has studied this area has any extra ideas for my to try? Are there any techniques or methods I can employ to help his development along further? I’m asking here because this is hacker news and its going to take a seriously effective and elegant hack to get this kid where he needs to be a d further. I can’t stand to see a clearly intelligent child locked behind a wall of impeded speech and behaviours typical to a 1 year old. I eventually want to to teach him the wonders of computers and how to tell them what to do. It will be very hard if we can’t communicate effectively. Nationally, the education establishment has loved to hate the federal No Child Left Behind act since it was adopted in 2001. More than a decade later, the same attitude unfortunately applies to New Mexico implementing the necessary reforms to make NCLB’s rigid standards go away in favor of new ways to boost and measure student achievement. Despite federal waiver requirements to adopt a new school rating system, teacher evaluations linked to student achievement and Common Core standards, unions, many New Mexico legislators, and some educators and their administrators have fought the reforms tooth and nail. Even though the reforms are teacher-designed, student-focused and data-driven. Massachusetts universities and colleges that say they’re trying to hold down costs have increased their number of administrators three times faster than their number of students, according to federal data analyzed by the New England Center for Investigative Reporting. The pace with which administrators have been added at Massachusetts higher-education institutions has also outstripped the increase in the number of research and teaching faculty and other instructional employees, by a margin of two-to-one. Over the last 25 years, the universities’ enrollments have collectively grown by 26 percent, while their ranks of full-time administrators have risen 75 percent. This has happened not only at private universities, but also at some public ones. It’s a large part of why tuition is going up, said Andrew Gillen, research director at the nonpartisan Washington think tank Education Sector, which collected the federal data and supplied it to the New England Center for Investigative Reporting. During the same 25-year period, tuition at four-year universities nationwide has increased an inflation-adjusted 85 percent, federal figures show. Dennis Abudho and his family of five children live in a one-bedroom house without electricity in Bandani, an informal settlement in Kisumu, Kenya. Abudho is active in the PTA at Bridge International Academy in Bandani, where his four oldest children (three boys and a girl) are in baby level, first, third and fifth grade. You might not expect someone like Abudho — who said he is a casual laborer, operating a bread machine at a local mill and bakery — to have four children in private school. But he can afford it — the cost of school for each child at Bridge, including books and materials, is the equivalent of $5.16 a month. Why doesn’t Abudho send his children to public schools? One reason is that there aren’t enough of them in Bandani. Informal settlements in Kenya, and many other places, have few public schools because their inhabitants are unregistered; legally, there are few children who need school. But even when public school is available, learning may not be. Public schools in poor countries are mostly overcrowded — there can be 100 or more children in a class. While there are heroic teachers, there are many others for whom teaching is more a sinecure than a vocation — they are absent half the time, and not actively teaching when present. Since they have no supervision, this behavior incurs no penalty. Materials may consist solely of a chalkboard. Coursework usually consists of rote learning and memorization. When you first hear disruptive economics guru Clayton Christensen’s prediction that by 2019 half of all K-12 classes will be taught online, it’s easy to wonder if brick-and-mortar schools as we know them are on their way out. But a new study released Thursday from his think tank, the Clayton Christensen Institute for Disruptive Innovation, depicts a future of education, particularly at the elementary school level, that isn’t nearly as stark as that. The paper, which refines theories on blended learning Christensen and his colleagues have laid out in the book “Disrupting Class” and other studies, introduces the idea of hybrid innovation. While Christensen’s famous theory of innovation mostly focuses on disruptive and sustaining innovations, the new paper offers the concept of the hybrid. Often, the researchers argue, sectors experiencing disruption go through an extended phase in which old and new technology exist side by side, providing “the best of both worlds.” In education, many approaches to blended learning, which combine online instruction with traditional classroom learning, fall into this hybrid category. It is that time of year when famous people put on baggy black capes and peculiar hats in order to hold forth on university lawns to thousands of students and their parents. But this time something strange has happened. Each of the big-name speakers seems to have hit on the identical homily for their commencement addresses: they are all telling graduates to make the world a better place. So there was Arianna Huffington at Smith College saying “what I urge you to do is not just take your place at the top of the world, but to change the world”. This paper proposes to analyse the relationships between depression and high intellectual potential through a multidisciplinary and original approach. Based on their respective experience in psychology and child psychiatry, the authors will focus their analysis on creative potential. First, relationships between creativity (literary, artistic, or scientific creativity) and melancholy (“melancholy” comes from the Greek words for “black” (“melas”) and “bile” (“khole”)) will be examined from antiquity to modern times. Aristotle introduced a quantitative factor, asserting that levels of melancholy and black bile are positively correlated; however, under a given threshold of black bile, it can give rise to an exceptional being. Second, the case study of Blaise Pascal (scientific and philosophical creativity associated with major depressive episodes from childhood) will be presented and discussed. This case study sheds light on the paradoxical role of depression in the overinvestment in intellectual and creative spheres as well as on the impact of traumatic events on high intellectual potential. Third, observations will be reported based on a study conducted on 100 children with high intellectual potential (6-12 years old). Finally, based on these different levels of analysis, it appears that heterogeneity of mental functioning in children with high intellectual potential is at the center of the creative process and it has related psychological vulnerability. This idea that the tech we place inside us is to be feared, unlike all the tech swirling outside of us, is a dated and dying relic of our fading, twentieth-century upbringing. We are all already replicants. What test could we use today to detect a replicant? Should we? Probably, it’s too late to discern. Rather than optimizing artificial intelligence tests, we may ultimately need to design tests to determine what is really real – assuming our future technology affords us one “true” sanctioned reality. 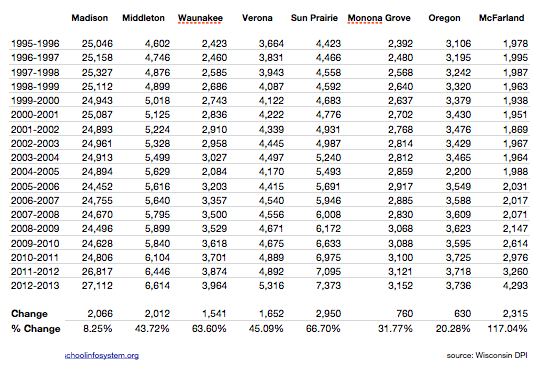 Enrollment Growth: Suburban Districts vs. Madison 1995-2012. Verona, Madison lead in population growth. EASLEY, S.C. — When the terrorists struck on 9/11, Barrett Austin was in Mrs. Spearman’s second-grade class here. Weeks later, he’d wear a Ninja costume with a red headband for Halloween. Tristan Wade was a middle-school practical joker with an endearing crooked smile who told everyone he wanted to be in the Army like his dad, a military policeman stationed near Tacoma, Wash.
Zack Shannon was playing Army in a cul-de-sac where his family lived in Florida. He’d break his ankle later that fifth-grade year on a neighbor’s trampoline across the street. They were little boys oblivious to the beginning of America’s war in Afghanistan. Any notion they might be caught up in the violence to come was the furthest thing from their parents’ minds. But this would be the nation’s longest war. All three children — Barrett, 8, Tristan, 11, and Zack, 9 — would reach manhood as fighting churned on. Barrett’s desire to challenge himself, Tristan’s drive for excitement and Zack’s love of all things military would draw each on separate paths toward war. Among the most common rationales offered for the Common Core State Standards project is to eliminate differences in the definition of student proficiency in core academic subjects across states. As is well known, the federal No Child Left Behind Act of 2002 (NCLB) required states to test students annually in grades 3-8 (and once in high school), to report the share of students in each school performing at a proficient level in math and reading, and to intervene in schools not on track to achieve universal student proficiency by 2014. Yet it permitted states to define proficiency as they saw fit, producing wide variation in the expectations for student performance from one state to the next. While a few states, including several that had set performance standards prior to NCLB’s enactment, have maintained relatively demanding definitions of proficiency, most have been more lenient. The differences in expectations for students across states are striking. In 2011, for example, Alabama reported that 77 percent of its 8th grade students were proficient in math, while the National Assessment of Educational Progress (NAEP) tests administered that same year indicated that just 20 percent of Alabama’s 8th graders were proficient against NAEP standards. In Massachusetts, on the other hand, roughly the same share of 8th graders achieved proficiency on the state test (52 percent) as did so on the NAEP (51 percent). In other words, Alabama deemed 25 percent more of its students proficient than did Massachusetts despite the fact that its students performed at markedly lower levels when evaluated against a common standard. U.S. Secretary of Education Arne Duncan has gone so far as to accuse states like Alabama of “lying to children and parents” by setting low expectations for student performance. Wisconsin’s oft-criticized WKCE is similar to Alabama’s proficiency approach, rather than Massachusetts. Yet, Alabama has seen fit to compare their students to the world, something Wisconsin has resisted. The big news out of the latest Public Education Finances Report is official confirmation that school districts spent less money per student in 2010-11 than they had the year before, the first one-year decline in nearly four decades. It’s worth taking some time to reflect on that fact, but the full report is also a valuable source of data on state and district revenues and expenditures and the entirety of the $600 billion public K-12 education industry. One key takeaway is that employee benefits continue to take on a rising share of district expenditures. The table below uses 19 years of data (all years that are available online) to show total current expenditures (i.e. it excludes capital costs and debt), expenditures on base salaries and wages, and expenditures on benefits like retirement coverage, health insurance, tuition reimbursements, and unemployment compensation. Although it would be interesting to sort out which of these benefits have increased the most, the data don’t allow us to draw those granular conclusions. But they do tell us that teachers and district employees are forgoing wage increases on behalf of benefit enhancements. From 2001 to 2011 alone, public education spending increased 49 percent, but, while salaries and wages increased 37 percent, employee benefits increased 88 percent. Twenty years ago, districts spent more than four dollars in wages to every one dollar they spent on benefits. Now that ratio has dropped under three-to-one. Benefits now eat up more than 20 percent of district budgets, or $2,262 per student, and those numbers are climbing. A recent article, which was published in the journal Sociology of Education, sheds light on these topics with a very interesting look at the distribution of students across teachers’ classrooms in Miami-Dade between 2003-04 and 2010-11. The authors’ primary question is: Are certain characteristics, most notably race/ethnicity, gender, experience, or pre-service qualifications (e.g., SAT scores), associated with assignment to higher or lower-scoring students among teachers in the same school, grade, and year? Although this analysis covers just one district, and focuses on a specific set of student and teacher characteristics, it’s a big step forward. The nation’s colleges and universities are churning out master’s degrees in sharply rising numbers, responding to a surge in demand for advanced credentials from young professionals who want to stand out in the workforce and earn more money. In 2006, Amherst College made a decision that administrators at some other schools considered radical. The critics said it would dent the value of the school’s degree, or force it to “lower its standards.” The school’s then-president pushed back by saying that Amherst needed to reach a broader group of students. What was the decision? Today’s readers might be forgiven for guessing it must have had to do with online courses, also known as MOOCs. But Amherst wasn’t debating online courses. (That would have been quite early for the online course debate. In fact, this April the Amherst faculty voted down a proposal to join the nonprofit MOOC coordinator EdX.) Rather, in 2006, Amherst decided to reserve the majority of its transfer slots for students coming from community college. In some ways, the decision represented potentially a more radical commitment to underprivileged students than online courses — as it came at an actual cost to the school, while online courses are highly profitable. Seven years later, Amherst president emeritus Anthony Marx argues claims the program has worked brilliantly, just as his administration had expected. Broadening its search for transfers to the roughly one million students who graduate from community college every year, “we could find amazing jewels that no one else is looking for,” he told an audience at a panel hosted by The Century Foundation on Thursday. How Could a Sweet Third-Grader Just Cheat on That School Exam? When Kaci Taylor Avant got caught cheating on a test a few months back, the teacher called her mother, who was nothing less than stunned. After all, Kaci always does her homework and gets mostly As in school. Mother and daughter had already had “the talk” about how cheating was wrong. And then there’s Kaci’s age. “I had to ask myself, ‘Wow, really? She is only 8!’ ” says her mother Laina Avant, a Paterson, N.J., network engineer. As school-testing season heats up this spring, many elementary-school parents are getting similar calls. The line between right and wrong in the classroom is often hazy for young children, and shaping the moral compass of children whose brains are still developing can be one of the trickiest jobs a parent faces. Many parents overreact or misread the motivations of small children, say researchers and educators, when it is actually more important to explore the underlying cause. A growing body of research suggests responses for parents, adjusting strategies in subtle ways by each age. (Wisconsin) Public school advocates have intensified their efforts to sway Republican lawmakers on the biggest K-12 education issues in the state budget, which are scheduled for debate Wednesday. Heading into the holiday weekend, Republicans hadn’t reached an agreement about the most controversial proposal in Gov. Scott Walker’s 2013-15 budget proposal — the expansion of private school vouchers to Madison and other school districts around the state. But Walker told reporters Friday he was optimistic. At least three Republican senators have said they oppose Walker’s voucher expansion, while three others say they won’t vote for the budget unless a voucher expansion is included. Republican leaders didn’t respond to requests for comment Friday. John Forester, a lobbyist for the School Administrators Alliance, sent a message Friday to school officials across the state to contact Republican leadership. He called the message the most urgent in his 12 years lobbying for school districts. “The feedback I’m receiving inside the Capitol clearly indicates that our pressure is having an impact on this budget process,” Forester said. At a news conference last week, Democrats announced that they had collected more than 16,000 signatures on a petition to remove the voucher expansion from the budget. Madison School Board members sent out appeals to constituents asking them to contact members of the Joint Finance Committee, the lawmakers revising Walker’s budget proposal before it goes to the full Senate and Assembly. Overall, college education seems a matter of mastering a complex body of knowledge for a very short time only to rather soon forget everything except a few disjointed elements. (To return to the test questions above: it was about religion; you would need to set up an equation; the comedies were supposed to be funny, the romances not so much; something about the genetics of peas). Of course, almost everyone eventually learns how to read, write, and do basic arithmetic–along with the rudiments of other subjects such as history and geography. But that’s because such knowledge is constantly reviewed as we deal with e-mail, pay bills and read newspapers– not because we learned it once and for all in, say, third grade. Louisiana’s schools chief vowed on Friday to push ahead with a plan to let students take classes from private firms and nonprofits at taxpayers’ expense, despite a legal setback and objections from some educators. The Course Choice plan, which goes far beyond any other U.S. school program in letting families customize a child’s education, had been thrown into doubt after the state Supreme Court ruled earlier this month that Louisiana could not divert money meant for public schools to private organizations. State Superintendent of Education John White said he would fund the program – which was passed by the Republican-dominated legislature in 2012 – from his department’s general budget instead, squeezing out an estimated $2 million by cutting back expenses such as staff travel. Under the program, kindergarten through 12th grade students can sign up for free classes on scores of topics, ranging from remedial reading to heavy equipment operation. The classes, both online and in person, are offered by an eclectic lineup of unions, nonprofits and for-profit companies. The state picks up the tab, which averages $700 per class. “The purpose of Course Choice is to provide every family in Louisiana with an education that meets the exact needs and interests of their child,” White said. What if Larry Siewert is right? Or to put the question differently, what if things that actually work in the education of students from disadvantaged backgrounds require more than the education system generally is able to provide? But before we get into that, let me say this: Thank you, Larry Siewert, for dedicating your life to helping thousands of young Milwaukeeans along paths that lead to success and positive values. Siewert, 72, is retiring after 49 years in two rather contrasting settings. He was a teacher and administrator at prestigious Marquette University High School for 28 years, the last 11 of them as principal. The work presented a lot of challenges, but it mostly involved boys on their way to success. The school had resources and high expectations. The families had resources and high expectations. Twenty-one years ago, Siewert switched gears in a big way. He and Father Bill Johnson co-founded Nativity Jesuit Middle School on the south side. Like Marquette High, the students were all boys. Otherwise, it was very different. The kids were low-income and Hispanic, from families with little academic or economic success. When it came to, say, standardized test scores, they were well behind those Marquette High kids. The school had very modest facilities and finding money was a constant effort. Nativity started with 14 students in sixth grade and a distinctive approach: To focus the lives of the students around school to a much greater degree than is conventional. The school day was long. There were evening sessions several nights a week. There were programs on many Saturdays. Going to summer camp in northern Wisconsin was required. Kids are shaped by the schools they go to, but Nativity wanted to exert that shaping influence a lot more than most schools. At the same time, the school made a priority of encouraging parents and their support of education. When self-driving cars reach the masses, thanks may be due to a 19-year-old high-school student from Romania who developed an artificial intelligence that slashes the cost of the technology. He took top prize — a $75,000 scholarship — Friday at an international science and engineering fair. Self-driving cars are nothing new. Tech giant Google, for example, has been working on one since 2010. But Google’s uses technology that was developed without thinking about cost, prize winner Ionut Budisteanu explained. Voucher Expansion Unneeded And Unwise Proposal is especially harmful to Madison. The Wisconsin Legislature’s Joint Finance Committee continues its review of Governor Scott Walker’s budget with varying degrees of success. There are some baffling policy proposals in the budget that need a lot of work. But the proposal that would unquestionably do the most damage to Madison is the one to expand the school voucher program. In fact, if the $73 Million expansion is approved, and public school spending is frozen, one could argue it would damage the entire state. Even worse, passage of a voucher expansion to include Madison would come at a time when Madison is poised to support the broadest, most inclusive and thoughtful dialogue about public schools and the achievement gap in decades. Vouchers and not only completely unnecessary, they inject unneeded politics into an important education conversation. We ask lawmakers to please reject this proposal so the people of Madison can go about this critical work. Vouchers are not a existential threat to our local schools. Rather, ongoing disastrous reading scores merit endless attention and action. Ultimately, every school is the same in one critical way: Rural, suburban or urban; private, public or charter; high-performing or in crisis, every school allocates about 75% to 80% of its resources to staff salaries and benefits. In the end, a school buys people’s time, effort and expertise and, you could argue, not much else. Every school is a collection of people with the shell of a building around it. Which is why the current state of training and development for teachers is so important — and troublesome. Professional development is too often an afterthought. This is costly in more ways than one. The Milwaukee Public Schools, which has just over 4,600 full-time-equivalent teachers, spent more than $3 million on “districtwide professional development” and more than $5 million on what the budget identifies as “teacher quality” programs in fiscal year 2011. “It’s very ineffective if you ask me…It’s just a big huge room, a bunch of teachers in a room, one person up there trying to talk, and sometimes it’s nothing to do with nothing, talking about the reading that day. I hate to say it, it’s almost a waste of time; I’d rather be working in the classroom,” said one Milwaukee teacher who was part of a focus group put together by the Wisconsin Policy Research Institute as part of its yearlong examination of education in the city. The key to turning that around is a new commitment to practice that can improve teacher performance, build a positive school culture marked by collegiality, help make incentive systems more productive and result in higher rates of teacher retention. In short, though it is humble and may seem unspectacular at first, the idea of practice can improve teacher quality dramatically. In using the word “practice,” I am referring to the word in a limited and (to some) mundane sense. Practice is a time when colleagues meet together and participate in exercises that encode core skills. That is, the thing you would see a basketball team or an orchestra do as a matter of course but that teachers are rarely asked to consider. Among teachers it might involve teaching parts of their lessons to one another, revising lesson plans in groups, or even role playing interactions with disruptive students. High-performing schools routinely approach training in this manner with outstanding results. With the future of school funding still up in the air at the Capitol some local districts are making sure they’re prepared for changes that could have them competing for state money and students. Tuesday’s ground breaking at Todd Elementary School is one of nine projects the Beloit School District will be working on this summer. “We are so proud of what we’re doing above and beyond the new buildings,” says Superintendent Steve McNeal. McNeal says approval of a $70 million referendum is evidence families in the district still have confidence in their public schools. “We’re a state model in RTI, the Response to Intervention, we’re a state model in how we coach our teachers, we have shown tremendous gains academically so we’re very proud and we’ll compare to anybody,” says McNeal. The redevelopment is in part to compete with possible changes in state funding, McNeal says. Temple Grandin, a professor of animal science at Colorado State University, was one of the first autistic people to chronicle her life with the condition– and is now a bestselling author and well known for her innovative designs for handling livestock. Recently portrayed by Claire Danes in an Emmy-winning HBO movie about her life, Grandin spoke to TIME about her latest book, The Autistic Brain. The Clayton Christensen Institute, formerly Innosight Institute, has published three papers describing the rise of K−12 blended learning–that is, formal education programs that combine online learning and brick-and-mortar schools. This fourth paper is the first to analyze blended learning through the lens of disruptive innovation theory to help people anticipate and plan for the likely effects of blended learning on the classrooms of today and schools of tomorrow. The paper includes the following sections. There are two basic types of innovation–sustaining and disruptive–that follow different trajectories and lead to different results. Sustaining innovations help leading, or incumbent, organizations make better products or services that can often be sold for better profits to their best customers. They serve existing customers according to the original definition of performance– that is, according to the way the market has historically defined what’s good. A common misreading of the theory of disruptive innovation is that disruptive innovations are good and sustaining innovations are bad. This is false. Sustaining innovations are vital to a healthy and robust sector, as organizations strive to make better products or deliver better services to their best customers. Disruptive innovations, in contrast, do not try to bring better products to existing customers in established markets. Instead, they offer a new definition of what’s good–typically they are simpler, more convenient, and less expensive products that appeal to new or less demanding customers. Over time, they improve enough to intersect with the needs of more demanding customers, thereby tranforming a sector. Examples in the paper from several industries demonstrate the classic patterns of both types of innovation. The nation’s community colleges are serving poorer and increasingly more African-American and Latino students, but getting a smaller piece of the federal aid pie, according to a new report by the Century Foundation. The resulting separate and unequal higher education system is not working any better than the racially stratified and resource-poor public school systems outlawed by Brown v. Board of Education, the report says. Between 1999 and 2009, the budget at public research universities — like the University of Wisconsin-Madison — increased by nearly $4,000 per student, while community college budgets increased by $1 per student, the report says. That’s even though 66 percent of community college students need some kind of remedial training. Federal and state educational polices haven’t kept pace with the growing enrollment at community colleges, where lower tuition may mean students are not eligible for existing aid programs, the study points out. There was a time, not so long ago, when anyone with a proper education spoke French. Diplomacy and business were conducted in French. Knowledge was spread in French. Travelers made their way in French, and, of course, lovers traded sweet nothings in French. Viewed from France, the trouble with modern times is that many of those activities are now conducted in English, even by the French. In a country that cares so much about its language it maintains a whole ministry to promote it, that alone is enough to stir passionate debate in Paris — in French, naturally. Higher Education Minister Genevieve Fioraso this past week introduced a bill that would allow French universities to teach more courses in English, even when English is not the subject. The goal, she explained, is to attract more students from countries such as Brazil, China and India where English is widely taught but French is reserved largely for literature lovers. Although Common Core state standards for public schools were adopted in Wisconsin back in 2010, they by no means have been readily accepted by groups with an interest in education. That was vividly apparent Wednesday when voices from the right joined teachers unions in questioning the “reform” standards and how they are being implemented. It’s not surprising that questions about Common Core are emerging now, Daniel Thatcher, a policy specialist at the National Conference of State Legislatures, told a joint session of the committees on Education, which held an informational hearing at the Capitol. I recently read an article on the Kafila blog–more like an angry, reflective rant–written by some students from St. Stephen’s College in Delhi. To quickly summarize, the piece criticized the draconian views of the principal of St. Stephen’s College regarding curfews on women’s dormitories and his stymieing of his students’ democratic ideals of discussion, protest, and open criticism. More broadly, though, the article’s writers seemed to be speaking about the larger stagnant institution of Indian higher education, overseen by a class of rigid administrators represented by this sexist and bigoted principal, as described by the students. The students’ frustration was palpable in the text and their story felt to me like a perfect example of what happens when an unstoppable force meets an immovable object. Except Indian students are not an unstoppable force. Not even close. In 2007, I was a student at St. Stephen’s College for seven months as part of a study abroad program offered by my home institution, Brown University. In as many ways as possible, I tried to become a Stephanian: I joined the football (soccer) team, acted in a school play written and directed by an Indian peer, performed in the school talent show, was a member of the Honors Economics Society, and went to several student events on and off campus. More importantly, though, I was a frequenter of the school’s cafe and enjoyed endless chai and butter toasts with my Indian peers under the monotonous relief of the fans spinning overhead. Most of my friends were third years, like me, and all of them were obviously very bright. I was curious about their plans after they graduated. With only a few exceptions, they were planning on pursuing second undergraduate degrees at foreign universities. Robert Ghrist, a professor of mathematics and electrical and systems engineering at the University of Pennsylvania, knows that wielding vast networks on behalf of nonuniversity benefactors can be tricky business. Mr. Ghrist specializes in applied topology, an abstract math field. In practice, topological math can help someone harness huge collections of sensory inputs–like those collected by cellphones, for example–to model large environments and solve problems. The Department of Defense has enlisted Mr. Ghrist to do research along those lines. The Penn professor knows he has little power over how the Pentagon might use his insights. But he says that no longer bothers him. Whether charter schools have actually lived up to their initial promise is a hotly contestedtopic in the education reform debate. An entire field of education research aims to assess whether students are better off at charter schools than in the public system. The latest findings, based on six well-regarded charter schools in Boston, released Wednesday by theBoston Foundation and MIT’s School Effectiveness and Inequality Initiative, adds to the accumulating evidence that at least a subset of high-performing charters are measuring up to the movement’s early aspirations of giving disadvantaged kids a shot at a better life. The study shows that the Boston schools’ students did better on SAT and Advanced Placement tests and are vastly more likely to enroll at four year colleges–and to do so on scholarship–than otherwise identical students in the Boston public school system. What makes a charter school different from other public schools? While they’re funded with public money, they generally operate outside of collective bargaining agreements (only about one-tenth of charter schools are unionized) and other constraints that often prevent principals in public schools from innovating for the good of their students (so the argument goes). In exchange for this freedom, they generally get less funding than public schools (though they’re free to look for private donations, and many do) and have to prove that they are making good on the promises set out in their charters, which often means showing that they improve their students’ performance on statewide standardized tests. Cheatham, who was recently the chief of instruction for Chicago Public Schools, started her job as MMSD superintendent on April 1 and is in the midst of a structured 90-day entry plan that includes three phrases — transitioning, listening and learning, and planning. In the coming months, she will be gathering community input and developing a multi-year strategy with measurable goals. Cheatham is currently in the listening and learning phase where she is meeting with a variety of stakeholders to discuss the district’s goals and to better understand the district’s strengths, challenges, and opportunities for improvement. This phase is critical in that it will be the time period in which she hears broadly from students, teachers, staff, principals, parents, community members, and others. Cheatham has visited 14 schools in a little over 2 weeks, and is planning on keeping up that pace. Lili Gu recalls his initial trepidation at the flood of white faces in his Massachusetts high school when he came to America for 10th grade. There was the hulking football player who noticed that Gu was lost one day and said–here, Gu speaks in a guttural half-grunt–“‘Hey, you want to go to the gym?’ And I’m like, dude, is this guy going to rob me?” He struggled with English, too. The writing skills he arrived with, he says, would be at home in the fourth grade. But an English-as-second-language program made him comfortable after a semester. Then his formidable Chinese secondary education kicked in. In most countries a PhD is a basic requirement for a career in academia. It is an introduction to the world of independent research–a kind of intellectual masterpiece, created by an apprentice in close collaboration with a supervisor. The requirements to complete one vary enormously between countries, universities and even subjects. Some students will first have to spend two years working on a master’s degree or diploma. Some will receive a stipend; others will pay their own way. Some PhDs involve only research, some require classes and examinations and some require the student to teach undergraduates. A thesis can be dozens of pages in mathematics, or many hundreds in history. As a result, newly minted PhDs can be as young as their early 20s or world-weary forty-somethings. Karen Lewis, the fiery leader of the Chicago Teachers Union who led a strike last year and became a nationally known anti-school reform figure, has been elected to another three-year term as president. Today she will lead the first of three days of protests against Mayor Rahm Emanuel’s plan to close 54 public schools. Last fall, Lewis’s combative governing style won near-unanimous support from rank-and-file members when they voted to strike to protest Emanuel’s reform plans, which included heavily linking teacher evaluation to student standardized test scores and extending the school day. After seven days of canceled classes, the strike ended with both sides claiming some success. Teachers won pay raises and were able to knock down the percentage that evaluations would be linked to scores, while Emanuel got his extended day. Five years ago, I thought I was going to catch Miriam Hughey-Guy, principal of Barcroft Elementary School in Arlington County, making an excuse for her school’s failure to reach federal proficiency targets three years in a row. I didn’t see why she had to take the blame. Her students were mostly from low-income families. Many parents spoke little English. That year the school just missed the mark, needing only seven more limited-English students to pass the state reading test. When I asked about this, she began a sentence with the word “because.” She seemed on the verge of blaming somebody or something else. But she cut herself off and started again. Which is what she, and a team of teachers who hold her in awe, did. They brought the school back into compliance. More importantly, they demonstrated how good a school full of poor kids can be if it has a smart, energetic principal who gives teachers unwavering support for their best ideas. A resolution supporting the recommendations of the Columbus Education Commission passed a divided Columbus school board last night, after a lengthy debate that centered largely around whether ” support” was too strong a word. Also, the board handed member Gary Baker the task of chairing a citizens’ panel that he will select to come up with a millage amount for a property tax issue, signaling that a levy likely will be on the November ballot. After that move failed, the board voted 6-1 to approve the resolution, which also joined Coleman in opposing a proposed state law that would allow the state to take over any school board that presided over a student-data scandal, which would include the Columbus board. The commission recommended, among other things, sharing up to $50 million of local property taxes with certain high-performing charter schools through a newly, appointed panel; creating an independent auditor to investigate district operations, with the auditor appointed by Columbus city officials, a county judge and the school president; and a wide variety of teaching and technology changes. The Chronicle of Higher Education tells us the median salary of public university presidents rose 4.7 percent in 2011-12 to more than $440,000 a year. This increase vastly outpaced the rate of inflation, as well as the earnings of the typical worker in the U.S. economy. Perhaps, most relevant for this community, it also surpassed the compensation growth for university professors. Spanier’s package will get the attention. But the outrage should be spread around. University presidents are becoming ever more plutocratic even as the students find it harder and harder to pay for their studies. University leaders claim institutional poverty as they enrich themselves. A perennial leader of the highest-paid list, Gordon Gee of Ohio State University (more than $1.8 million last year), paid $532 for a shower curtain for the presidential mansion. In mid-May 1933, Americans learned that students in German universities planned to burn a long list of books deemed “un-German.” Helen Keller, whose How I Became a Socialist was on this list, wrote this open letter to the students a day before the burning took place. Keller, who’s now remembered as a gentle, uncomplicated symbol of persistence in the face of lifelong deafness and blindness, was a radical thinker and activist in her time. While Keller was born into an influential and wealthy Southern family, her activism on behalf of blind people, many of whom lived in poverty, caused her to turn to the writings of H.G. Wells and Karl Marx. She eventually became a socialist, a women’s rights activist, an early supporter of the NAACP and the ACLU, and an advocate for free availability of birth control. This first draft carries hand-written annotations by Polly Thomson, who was, along with Anne Sullivan, one of Keller’s primary aides. The paragraph added at the bottom of the page, which was eventually incorporated into the version sent to the Associated Press for publication, professes understanding for the causes of German discontent, while roundly condemning the response. When Parker Sheffy, a first-year teacher in the Bronx Leadership Academy II, a high school in the South Bronx, talks shop with friends who are also new teachers, he often hears about the problems they are facing: students not showing up to class on time, not understanding their work, not doing homework. “I’m thinking: I don’t have that problem… I don’t have that problem…” Sheffy recalled. In his ninth grade integrated algebra class, he estimates that 80 to 90 percent are on track to pass the Regents exam, more than double last year’s figure. Sheffy’s school is one of three New York City public schools working with an organization called Blue Engine, which recruits and places recent college graduates as full-time teaching assistants in high schools, helps teachers shift to a small-group classroom model with a ratio of one instructor for roughly every six students, uses data tracking to generate rapid-fire feedback so problems can be quickly addressed, and provides weekly instruction in “social cognition” classes, where students are introduced to skills and concepts — such as the difference between a “fixed” and a “growth” mind-set — that can help them grasp their untapped potential. Blue Engine also targets algebra, geometry and English language arts in the ninth and 10th grades because performance in these so-called “gateway” courses is associated with college success. Despite its modest size and short track record, Blue Engine has already seized the attention of educators and attracted notice from President Obama. Last year, in its schools, as a result of the program, the number of students who met the “college ready” standard — scoring above 80 on their Regents exams in algebra, geometry or English language arts — nearly tripled, from 49 to 140. Although the school board elections are over, education-related issues still weigh on parents’ minds. Several PTO leaders from around the Madison Metropolitan School District hit on four common topics that concern them: the achievement gap, the Common Core State Standards, the state budget, and the allocation of resources across MMSD’s schools. According to Swift, the issues have shifted since her oldest child started at Franklin Elementary six years ago. At that time, the increasingly large classroom sizes dominated the discussion. Now, that issue comes up less often than the achievement gap and changing curriculum. The academic achievement disparity between white and minority students remains one of the top concerns in education. Jill Jokela is a past PTO president who remains actively involved in the East Attendance Area PTO Coalition. The group aims to include voices from all schools that feed into East High School. The achievement gap has been an issue for a long time, she said, but became more pronounced as Madison’s demographics have changed. She spent about eight years as a PTO leader on Madison’s east side until 2010. Shelby Connell, PTO president at Van Hise Elementary School, and Ann Lacy, co-coordinator of the parent-staff group at East High School, said that although they haven’t personally seen much of the achievement gap in their schools, it’s still a big issue for MMSD. In his proposed budget, Governor Walker recommends setting aside a portion of education funding to distribute to schools based on their performance. While this proposal might sound attractive on the surface, it will result in significant funding increases for schools with few low-income students, disabled students, or English language learners. Schools with larger percentages of those students would be allocated a much smaller share of funding. $10 million for schools that score in the category of “fails to meet expectations,” if the school submits an improvement plan that is approved by DPI. The disparities in the student population in the schools, and the higher dollar amount allocated for high-rated schools means that low-income students get relatively little out of this deal. Only one year of school report card data has been published so far, so it’s hard to know what kind of schools would be eligible for the money allocated for schools that improve their score. But we can make some generalizations on how the money would be distributed among the best- and worst-rated schools based using 2011-12 school report cards. Parents in Michigan, like those across the country, want their children to have the tools they need to excel in school and beyond. The Common Core national curriculum standards were sold as the way to give students those tools. But with the standards now being implemented, a growing number of Michiganians — as evidenced by the recent House vote to withhold state funds from Common Core — are having buyer’s remorse. Republican Gov. Rick Snyder’s support for the Core notwithstanding, they’re right to be wary, especially since Core supporters have too often ridiculed dissenters instead of engaging in honest debate. Supporters of the Core tout the fact that 45 states have adopted the standards, but don’t mistake that for enthusiastic support. Before the standards had even been published, states were coerced into adopting them by President Obama’s Race to the Top program, which tied federal dough to signing on. Even if policymakers in recession-hobbled states like Michigan would have preferred open debate, there was no time. Blink and the money would be gone; which is why most people hadn’t even heard of the standards at adoption time. Granted, it’s an important half. Since 1979, the one-percenters have doubled their share of the nation’s collective income from about 10 percent to about 20 percent. And between 2009, when the Great Recession ended, and 2011, the one-percenters saw their average income rise by 11 percent even as the 99-percenters saw theirs fall slightly. Some recovery! This dismal litany invites the conclusion that if we would just put a tight enough choke chain on the 1 percent, then we’d solve the problem of income inequality. But alas, that isn’t true, because it wouldn’t address the other half of the story: the rise of the educated class. Since 1979 the income gap between people with college or graduate degrees and people whose education ended in high school has grown. Broadly speaking, this is a gap between working-class families in the middle 20 percent (with incomes roughly between $39,000 and $62,000) and affluent-to-rich families (say, the top 10 percent, with incomes exceeding $111,000). This skills-based gap is the inequality most Americans see in their everyday lives. Conservatives don’t typically like to talk about income inequality. It stirs up uncomfortable questions about economic fairness. … Liberals resist talking about the skills-based gap because they don’t want to tell the working classes that they’re losing ground because they didn’t study hard enough. Welcome to health care in post-ideological Sweden. From the patient’s point of view, St Goran’s is no different from any other public hospital. Treatment is free, after a nominal charge which is universal in Sweden. St Goran’s gets nearly all its money from the state. But behind the scenes it has led a revolution in the relationship between government and business. In the mid-1990s St Goran’s was slated for closure. Then, in 1999, the Stockholm County Council struck a deal with Capio to take over the day-to-day operation of the hospital. In 2006 Capio was taken over by a group of private-equity firms led by Nordic Capital. Stockholm County Council recently extended Capio’s contract until 2021. Of course, that was just worms. This week, a team of German researchers, led by Gerd Kempermann, built on a similar logic and announced in Science that they had raised forty inbred mice that were essentially genetically identical in a single complex environment, and used radio-frequency identification (RFID) implants to track every moment of their lives. Nobody could ever ethically run that sort of controlled experiment with humans, but Kempermann’s study provides convincing evidence that–in a fellow mammal with which we share a basic brain organization–neither genetic identity nor a shared environment is enough to guarantee a common fate. Different creatures, even from the same species, can grow up differently, and develop significantly different brains–even if their genomes are identical, and even if their environments are, too. The multinational software giant, Microsoft, once bundled its Explorer search engine with Windows, and refused, for a time, to have Windows run WordPerfect, a competitor to Microsoft Word. As head of Microsoft, Bill Gates wanted everyone to use the same program. As funder of the Common Core, I believe he wants to do the same with our children. The Common Core is one of the most effective educational reform movements in United States history. Gates is a financial backer of this movement. Looking at this connection enables us to see why the United States should be wary of letting any one person or group acquire too much control over education policy. Launched in 2009 and now adopted by 45 states, the Common Core articulates a single set of educational standards in language arts and mathematics. Although the Common Core claims not to tell teachers what or how to teach, school districts must prove to state legislatures or the federal government (via the Race to the Top program) that they are complying with the Common Core. The simplest and most cost-effective way for a school district to do that is to purchase an approved reading or math program. Why is EAGnews, the website for a Michigan-based “education reform” group — proudly pro-voucher, pro-charter school, anti-union and basically anti-public schools — blasting local Madison media outlets with alarming press releases about spending in the Madison School District? To galvanize Madison citizens into demanding accountability from school district officials, says Steve Gunn, communications director for the group. To promote EAG’s pro-voucher agenda, say critics. “Maybe we’ll whet some taxpayers’ appetite, and they’ll march down there and ask, ‘What are you spending my money on? '” Gunn said in a phone interview Thursday. The website is part of Education Action Group, a private nonprofit organization out of Muskegon, Mich.
Well, actually it’s $232,693 in hotel expenses in 2012 that EAG cites in the body of its press release and associated article. Beyond the discrepancy between headline and text, both press release and article mash together credit card expenses for travel by district employees with expenditures for routine district functions. In citing more than $300,000 in taxi cab charges paid to three local companies, EAG does not mention that the companies are hired to transport special needs, homeless and Work and Learn students to school and job placement sites. Gunn admits that the taxi charges or the “cool $4.8 million” in payments to bus companies might be for transporting children, but says he doesn’t know for sure because the school district did not deliver promised details about the spending list it released in response to an open records request. “Wisconsin Wave” appears to be active on governance issues as well, including education, among others. is a project of the Liberty Tree Foundation. 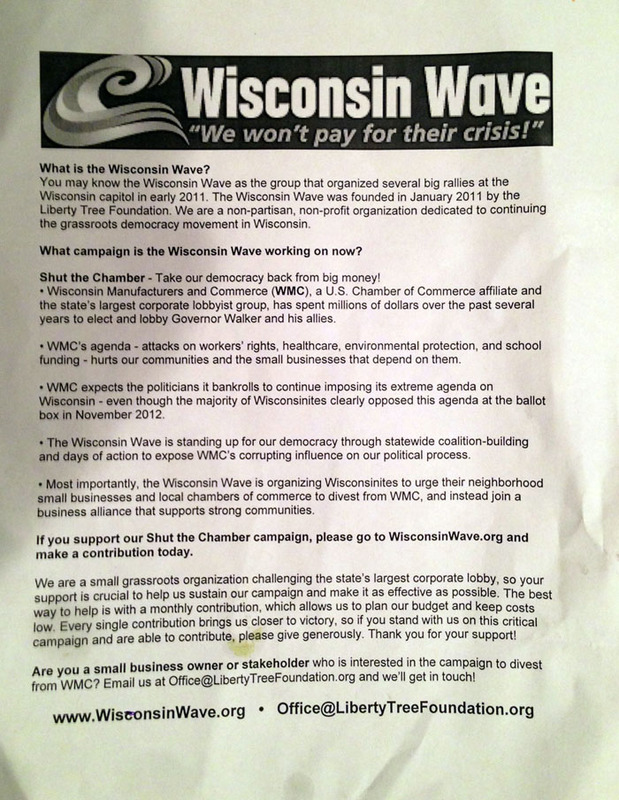 The Liberty Tree Foundation appeared during the 2013 Madison School Board race due to Sarah Manski’s candidacy and abrupt withdrawal. Manski’s husband Ben is listed as a board member and executive director of Liberty Tree. Capital Times (the above article appeared on The Capital Times’ website) writer John Nichols is listed as a Liberty Tree Foundation advisor. Kathleen Knauth has had a rough school year. The principal of Hillview Elementary, near Buffalo, New York, has spent so much time typing teacher evaluations, entering data, and preparing for standardized testing, she barely had a minute to do what she used to do in her first 12 years of being a principal–drop in on classes, address parents’ concerns, or get to know students. When a school social worker stopped by her office a few months back to get Knauth’s take on which children might need her help, she realized she had hit a new low. This article contends that every American law school ought to substantially eliminate C grades by settings its good academic standing grade point average at the B- level. Grading systems that require or encourage law professors to award a significant number of C marks are flawed for two reasons. First, low grades damage students’ placement prospects. Employers frequently consider a job candidate’s absolute GPA in making hiring decisions. If a school systematically assigns inferior grades, its students are at an unfair disadvantage when competing for employment with students from institutions that award mostly A’s and B’s. Second, marks in the C range injure students psychologically. Students perceive C’s as a sign of failure. Accordingly, when they receive such grades, their stress level is exacerbated in unhealthy ways. This psychological harm is both intrinsically problematic and compromises the educational process. Substantially eliminating C grades will bring about critical improvements in both the fairness of the job market and the mental well-being of our students. These benefits outweigh any problems that might be caused or aggravated by inflated grades. C marks virtually always denote unsatisfactory work in American graduate education. Law schools are the primary exception to this convention. It is time we adopted the practice followed by the rest of the academy. Teachers (MTI): Julie Riewe (40); Lori Hamann (39); Carol Kindschi (39); Julie Weis (37); George Marks (36); Margaret Schaefer (36); Steve Towne (36); Colleen Pfister (35); Janice Gavinski (34); Constance Kane (33); Celestine Richards- Gannon (33); Jane Mitchell (31); Diane Hawkins (30); and William Rodriguez (30). Educational Assistants (EA-MTI): Cathy Bohnenkamp (26); Ann Feeney (24); Barbara Figy (24); Cynthia Secher (24); David Soward (22); and Gwen Peirce (22). Supportive Educational Employees (SEE-MTI): Gay Huenink (32); Cynthia Michels (30); Anita Staats (30) and Deb Skubal (28). The state’s largest teacher’s union has formed a new political advocacy group that can raise unlimited amounts of money from donors during the upcoming campaign season, according to federal and state filings. The move by the New Jersey Education Association underscores a growing trend in the state as donors and interest groups turn to the federal tax code to avoid the state limits on campaign contributions. The New Jersey Education Association formed Garden State Forward in March of this year, according to filings with the Internal Revenue Service. The NJEA already has a state political action committee, but a spokesman said the new group will allow the union to focus more on issues, less on specific elections. “We established it so, if we wish, we can express issue advocacy with our members,” NJEA spokesman Steve Wollmer said. Related: WEAC: $1.57 million for Four Wisconsin Senators. I’ve been curious about Gottfried Leibniz for years, not least because he seems to have wanted to build something like Mathematica and Wolfram|Alpha, and perhaps A New Kind of Science as well–though three centuries too early. So when I took a trip recently to Germany, I was excited to be able to visit his archive in Hanover. Charter schools would no longer be allowed space in traditional school buildings. Neighborhood school boards would be given more oversight over superintendents and principals. Cellphones, long considered contraband in schools, would again be permitted past the door. The Democratic candidates for mayor have promised, in varying degrees, to revamp the city’s school system by undoing some of Mayor Michael R. Bloomberg’s signature policies. The attacks have put City Hall on the defensive, leaving aides worried about the future of one of the most ambitious efforts in the nation to overhaul education. Fearing a sea change, the city’s Education Department has worked over the past few months to lock in critical components of Mr. Bloomberg’s agenda. Education officials have reserved space for charter schools more than a year in advance, called for a permanent system for evaluating teachers and sought new contracts for school bus routes, saving money in part by eliminating union job guarantees. The Forward Institute of Wisconsin released a new study of education policy in the state. Wisconsin has always been a leader in K-12 public education because we have long valued the right of every child to receive a quality public education. The fundamental nature of our values is reflected in the State Constitution, which guarantees all children equal access to educational opportunity in our public schools. That constitutional right is now being systematically eroded and defunded. The research presented in this report shows that current fiscal policy and education funding are depriving our poorest students access to a sound public education. Public schools are not failing our children, Wisconsin legislators and policymakers are failing the public schools that serve our children. Our comprehensive report documents in detail that the resources being afforded schools and students of poverty are insufficient, and facing further reduction. Moreover, the resources being diverted from schools of poverty into non-traditional alternative education programs are producing questionable results with little to no accountability for the state funding they receive. his report presents high school graduation rates for the Madison Metropolitan School District. For additional information on graduation rates, see the Appendix. 1. Overall graduation rates improved almost one percent from 2011 to 2012, from 73.7% to 74.6%. 2. African American and Hispanic students have improved their graduation rates by five percent and almost seven percent over the last three years. 3. Graduation rates for students with Limited English Proficiency have improved about four percent over the last three years. 4. MMSD high schools have similar graduation rates, ranging between 74.7% and 82.8%. In College (Un)bound, Jeffrey J. Selingo, editor at large of the Chronicle of Higher Education, argues that America’s higher education system is broken. The great credential race has turned universities into big business and fostered an environment where middle-tier colleges can command elite university-level tuition while concealing staggeringly low graduation rates, churning out graduates with few of the skills needed for a rapidly evolving job market. Selingo not only turns a critical eye on the current state of higher education but also predicts how technology will transform it for the better. Free massive online open courses (MOOCs) and hybrid classes, adaptive learning software, and the unbundling of traditional degree credits will increase access to high-quality education regardless of budget or location and tailor lesson plans to individual needs. One thing is certain–the Class of 2020 will have a radically different college experience than their parents. A major study of children born with serious heart defects suggests that at least 10% of cases result from genetic mutations that weren’t inherited from their parents. Instead, the genetic anomalies arise spontaneously early in prenatal development. Researchers said some of the mutated genes play a critical role in activating or deactivating other genes responsible for the development of the heart. “This for the first time really establishes that these new mutations account for a significant fraction of this disease,” said Richard Lifton, head of the department of genetics at Yale University School of Medicine and a senior author of the study. The findings were published online Sunday by the journal Nature. About 40,000 babies, or nearly one in 100, are born in the U.S. each year with congenital heart disease, making it the most common birth defect. About one-third of cases involve life-threatening structural defects to the organ. Surgical advances over the past few decades have enabled the majority of such kids to live well into adulthood, though the repairs often wear out by their 20s and 30s, leading to additional procedures. Few mothers are likely to get more cards, flowers and phone calls this Sunday than Joyce Dumont. Mrs. Dumont, 77 years old, a Native American of the Chippewa tribe, is at the root of a family tree so tangled that it seems more like a forest. By her reckoning, she has had 69 kids–including six through childbirth, five stepchildren, 11 who were adopted, several dozen foster children and a few who simply moved in when they had no better place to go. Her latest three were adopted by Mrs. Dumont and her husband, Buddy, also 77, over the past few years. They range in age from 7 to 10. “They’re really rambunctious,” she told a recent visitor to her home near the Canadian border, where a washing machine chugged and a chubby Chihuahua named Peewee scoured the floor for Cheerios. Can You Teach Yourself Synesthesia? Conventional wisdom says that synesthesia is innate — you’re either born with the condition or you’re not, end of story. If you happen not to have been born that way but would really, really love to experience numbers as colors, or colors as sound … then you, my sense-straight friend, are pretty much out of luck. Except … maybe not? A group of psychologists at the University of Amsterdam have been testing whether synesthesia might, actually, be learned. 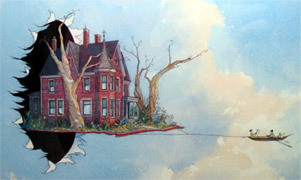 Synesthetes’ innate cognitive wiring leads them to augment their perception of the physical world; the researchers wanted to see whether the reverse could take place — whether an augmented physical world could lead to synesthetic perceptions in people who weren’t born with “crossed senses.” And the researchers have now published their findings in the journal PLoS One. Gregory Nagy, a professor of classical Greek literature at Harvard, is a gentle academic of the sort who, asked about the future, will begin speaking of Homer and the battles of the distant past. At seventy, he has owlish eyes, a flared Hungarian nose, and a tendency to gesture broadly with the flat palms of his hands. He wears the crisp white shirts and dark blazers that have replaced tweed as the raiment of the academic caste. His hair, also white, often looks manhandled by the Boston wind. Where some scholars are gnomic in style, Nagy piles his sentences high with thin-sliced exposition. (“There are about ten passages–and by passages I simply mean a selected text, and these passages are meant for close reading, and sometimes I’ll be referring to these passages as texts, or focus passages, but you’ll know I mean the same thing–and each one of these requires close reading!”) When he speaks outside the lecture hall, he smothers friends and students with a stew of blandishment and praise. “Thank you, Wonderful Kevin!” he might say. Or: “The Great Claudia put it so well.” Seen in the wild, he could be taken for an antique-shop proprietor: a man both brimming with solicitous enthusiasm and fretting that the customers are getting, maybe, just a bit too close to his prized Louis XVI chair. Nagy has published no best-sellers. He is not a regular face on TV. Since 1978, though, he has taught a class called “Concepts of the Hero in Classical Greek Civilization,” and the course, a survey of poetry, tragedy, and Platonic dialogues, has made him a campus fixture. Because Nagy’s zest for Homeric texts is boundless, because his lectures reflect decades of refinement, and because the course is thought to offer a soft grading curve (its nickname on campus is Heroes for Zeroes), it has traditionally filled Room 105, in Emerson Hall, one of Harvard’s largest classroom spaces. Its enrollment has regularly climbed into the hundreds. The answer is c). In Nagy’s “brick-and-mortar” class, students write essays. But multiple-choice questions are almost as good as essays, Nagy said, because they spot-check participants’ deeper comprehension of the text. The online testing mechanism explains the right response when students miss an answer. It is also under extreme strain. In the mid-nineteen-sixties, two economists, William J. Baumol and William G. Bowen, diagnosed a “cost disease” in industries like education, and the theory continues to inform thinking about pressure in the system. Usually, as wages rise within an industry, productivity does, too. But a Harvard lecture hall still holds about the same number of students it held a century ago, and the usual means of increasing efficiency–implementing advances in technology, speeding the process up, doing more at once–haven’t seemed to apply when the goal is turning callow eighteen-year-olds into educated men and women. Although educators’ salaries have risen (more or less) in measure with the general economy over the past hundred years, their productivity hasn’t. The cost disease is thought to help explain why the price of education is on a rocket course, with no levelling in sight. King rattled off three premises that were crucial to understanding the future of education: “social connections motivate,” “teaching teaches the teacher,” and “instant feedback improves learning.” He’d been trying to “flip” his own classroom. He took the entire archive of the course Listserv and had it converted into a searchable database, so that students could see whether what they thought was only their “dumb question” had been asked before, and by whom. The Victorian era was marked by an explosion of innovation and genius, per capita rates of which appear to have declined subsequently. The presence of dysgenic fertility for IQ amongst Western nations, starting in the 19th century, suggests that these trends might be related to declining IQ. This is because high-IQ people are more productive and more creative. We tested the hypothesis that the Victorians were cleverer than modern populations, using high-quality instruments, namely measures of simple visual reaction time in a meta-analytic study. Simple reaction time measures correlate substantially with measures of general intelligence (g) and are considered elementary measures of cognition. In this study we used the data on the secular slowing of simple reaction time described in a meta-analysis of 14 age-matched studies from Western countries conducted between 1884 and 2004 to estimate the decline in g that may have resulted from the presence of dysgenic fertility. Using psychometric meta-analysis we computed the true correlation between simple reaction time and g, yielding a decline of − 1.23 IQ points per decade or fourteen IQ points since Victorian times. These findings strongly indicate that with respect to g the Victorians were substantially cleverer than modern Western populations. I suggested in my first article that our education system is not broken but has simply become obsolete. It’s doing exactly what it was designed to do but unfortunately, our needs have changed. We can’t just make incremental improvement to the current education system to somehow make it work for the next century. It’s like changing the screen or making incremental changes to an old Nokia phone and somehow expecting it to become an iPhone. It’s time for us to go back to the drawing board and redesign the education system for the next century. Let me give you my thoughts on the functional specifications of the education system for the next century. As NJSBA’s semi-annual Delegate Assembly approaches (Saturday, May 18 is the meeting date), it’s a good time to recount the Association’s progress on key initiatives during the past six months. Special Education Task Force: In January, NJSBA formed a task force to review our state’s current process for funding and providing special education services. The study group will recommend changes to state and federal statute and regulation. The goal is to reduce special education costs to local school districts without diminishing the quality of needed services. In addition, the task force will identify best practices. As I’ve previously stated in this column, I began my career in education as a special education teacher. The education of children with special needs will always be close to my heart. However, there is a dire need to develop strategies that will maintain quality services, without negatively affecting resources for general education programming. The Task Force is working under the guidance of Dr. Gerald Vernotica, Montclair State University associate professor and former assistant commissioner of education. The group has been involved in data collection and research, has consulted with experts, and is seeking information from New Jersey’s local school districts. Earlier this month, it issued a survey on special education trends to superintendents and special education directors. For more information on the survey, please contact John Burns, NJSBA counsel, at jburns@njsba.org. Editor’s Note: The controversial fifth edition of the Diagnostic and Statistical Manual of Mental Disorders or DSM-5 (a.k.a. the manual formerly known as “DSM-V”) is being released tomorrow – after a 14-year revision process to update its criteria for defining mental disorders. This opinion is from the former taskforce chairman and leader of previous DSM editions. Nature takes the long view, mankind the short. Nature picks diversity; we pick standardization. We are homogenizing our crops and homogenizing our people. And Big Pharma seems intent on pursuing a parallel attempt to create its own brand of human monoculture. With an assist from an overly ambitious psychiatry, all human difference is being transmuted into chemical imbalance meant to be treated with a handy pill. Turning difference into illness was among the great strokes of marketing genius accomplished in our time. All the great characters in myths, novels, and plays have endured the test of time precisely because they drift so colorfully away from the mean. Do we really want to put Oedipus on the couch, give Hamlet a quick course of behavior therapy, start Lear on antipsychotics? Two weeks ago, novelist Kim Wong Keltner’s “Tiger Babies Strike Back” was published — her nonfiction account of growing up under the paw of her authoritarian Tiger parents. Last week, the web was abuzz over the release of UT Austin psychology prof Su Yeong Kim’s longitudinal study tracking the parenting styles and social outcomes of over 400 Chinese American families in the Bay Area, which seemed to show that children of Tiger Parents had both poorer emotional health and lower GPAs than those of parents who embraced warmer and fuzzier child-rearing strategies.